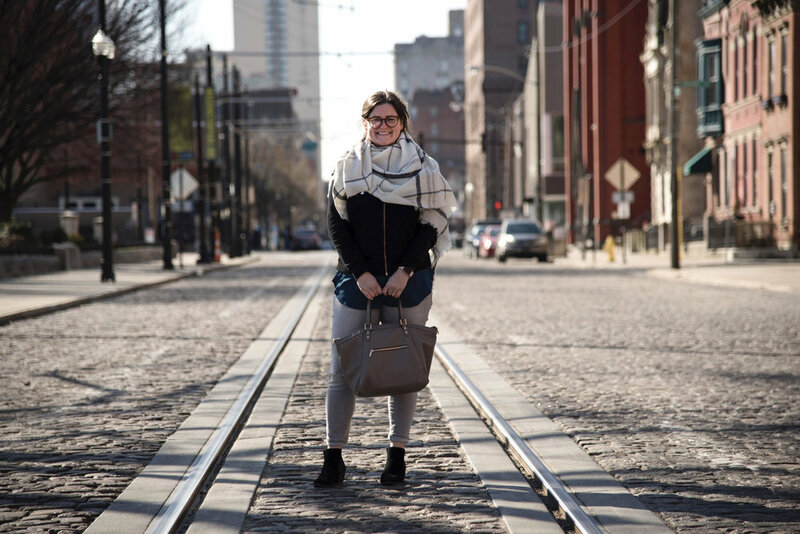 I am a Graphic Designer by profession, and in my personal life I run an independent website (Tour de Cincinnati), co-host a podcast (Podopolis), eat like a sophisticated six-year-old, support local, drink craft beer, and pretend I'm a tourist in my own city. My expertise ranges from print design to small-scale photography (engagement, family, maternity, and senior portraits), hand-written goods (name and place cards for weddings, addressed invitations), and UX/UI design. To learn more about me professionally, please view my resume.